Impetigo is a skin infection that's very contagious but not usually serious. It often gets better in 7 to 10 days if you get treatment. Anyone can get it, but it's very common in young children. 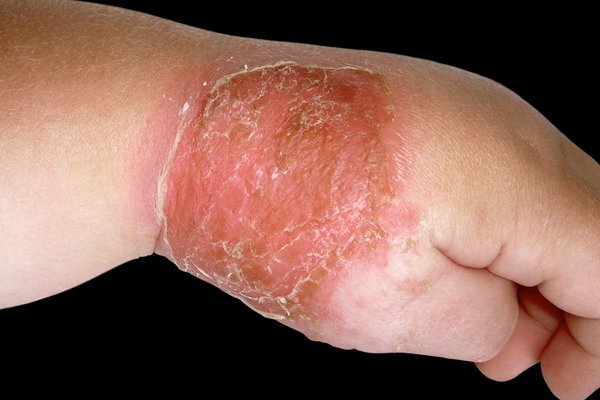 Impetigo can look similar to other skin conditions. 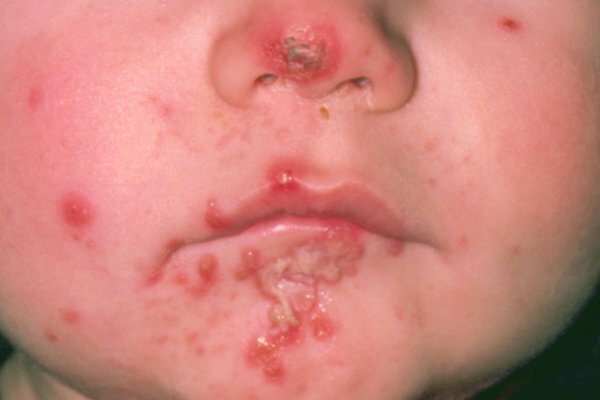 Impetigo is very infectious. Check with the GP before you go in to the practice. They may suggest a phone consultation. A GP will check it's not something more serious, like cellulitis. If it's impetigo, they can prescribe antibiotic cream to speed up your recovery or antibiotic tablets if it's very bad. Don't stop using the antibiotic cream or tablets early, even if the impetigo starts to clear up. A GP can take a swab from around your nose to check for the bacteria that causes impetigo. They might prescribe an antiseptic nasal cream to try to clear the bacteria and stop the impetigo coming back. Impetigo can easily spread to other parts of your body or to other people until it stops being contagious.